Goa is home to the top beaches in India. Few places can boast of such a plenty of sandy beaches and clear waters as Goa. It’s home to over 55 beaches and many among them are some of the finest and best beaches left in this world. 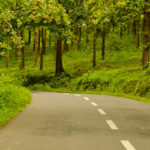 The winding coastal roads along the west coast of India in Goa offer spectacular views and easy access to the land of sun, sand and best beaches in the world. Headed to the Goa? 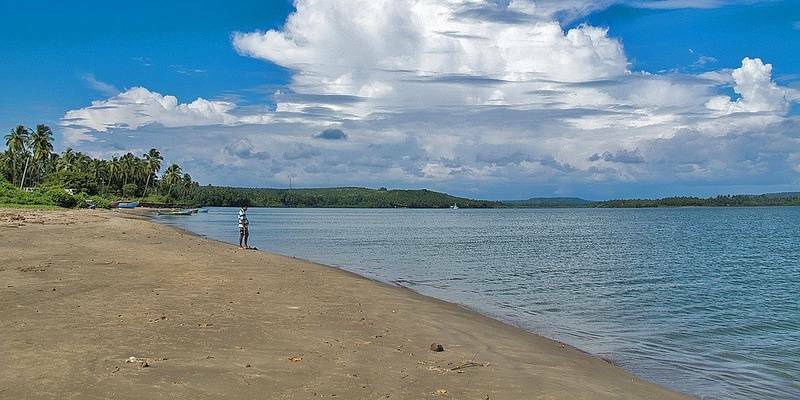 Don’t miss these best beaches in Goa getaways, perfect for whether you’re looking to swim, sunbathe, watch sunset or just experience the Goan culture. 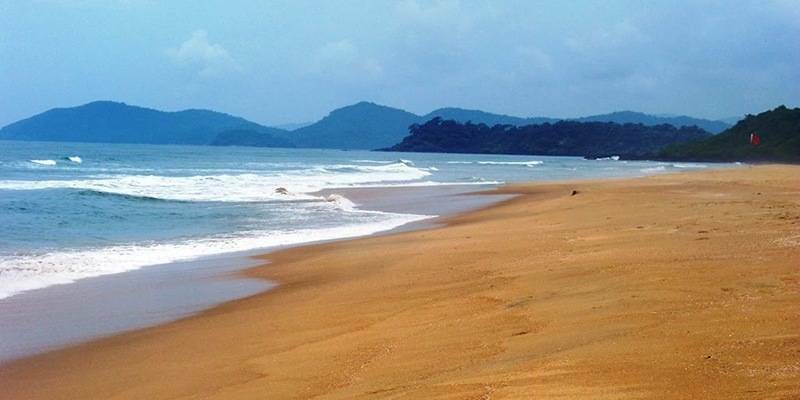 Undoubtedly, Agonda beach is one of the most stunning beaches in Goa. It’s nestled between two hillocks, striking perfect balance between clean white sandy beaches, blue waters and great dining and accommodation options. Still comparatively under-exploited commercially, there are many beach huts here providing fabulous views of the entire beach. The beach stretch here is pretty long with coconut trees providing plenty of shade around noon. Sand is soft, perfect for beach sports. Agonda Beach is 15 km from Palolem beach and 37 km from Madgao. One of the most romantic and clean beaches of Goa, Small Vagator beach is the place to go if you are want some tranquility and a quiet evening by the beach. Accessible by walking down a steep hill, Small Vagator beach has just about one shack, offers no water sports and is not much crowded making it perfect for couples. Watching sunset from the cliff near the entrance to the beach here, is an amazing experience. 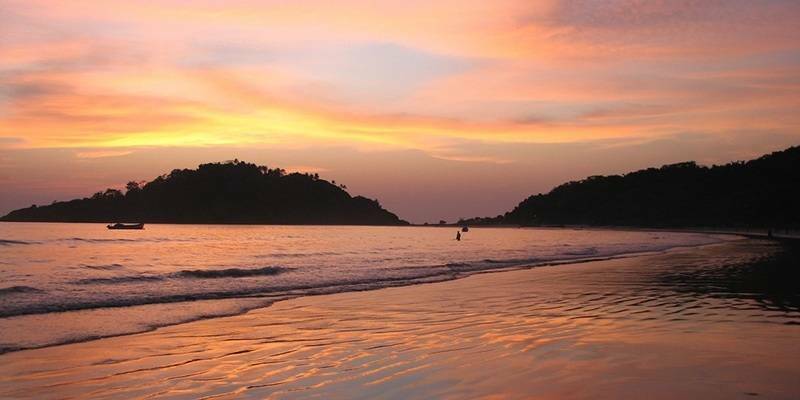 Based on location, view and beach quality it is on of the best beaches of Goa according to us. This is a great option for families with kids. Its not too crowded. However approach to the beach is not easy as you need to walk down to the beach from Vagator ridge. 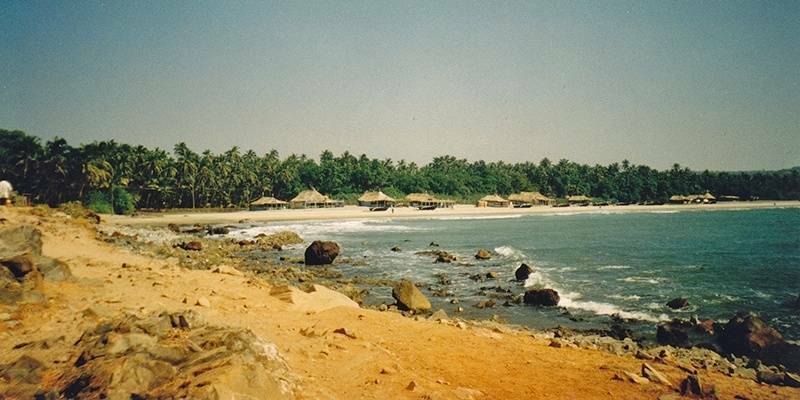 Small Vagator beach is also known as Ozran beach. It is just under 4 km from Anjuna beach and 10 km from Mapusa. Amazingly this hidden gem of a beach in Goa still looks pristine and yet so near to main areas of Goa. Parts of Chapora Fort are visible from this beach. Anjuna is the place where the hippie scene started in Goa, back in the 1960s. Though Anjuna has changed its image overtime, it still remains bustling seaside beach and a favorite among tourists for its markets, shops, watersports, restaurants and beach parties. 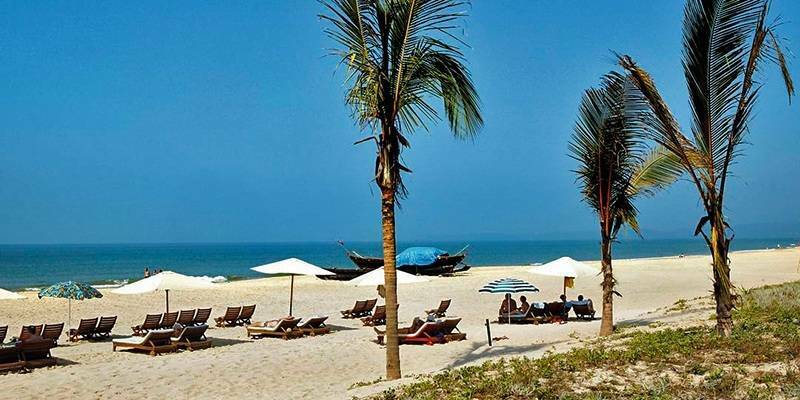 This Goa beach is lined with palm trees under which one can relax on a beach bed even around noon. Flea market held here is quite popular and fun to visit once. The beach on side is rocky and waves can be strong for swimming. 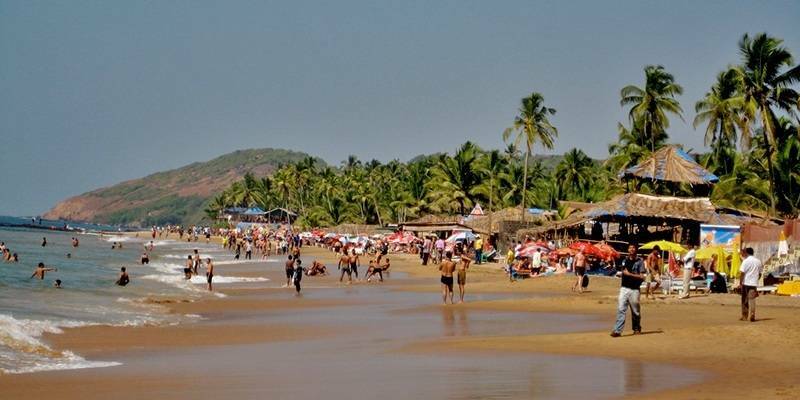 Anjuna beach generally figures in most sightseeing tours of North Goa. Curlies – one of the most popular night clubs of Goa is also located here. Anjuna beach is 18 km from Panaji. 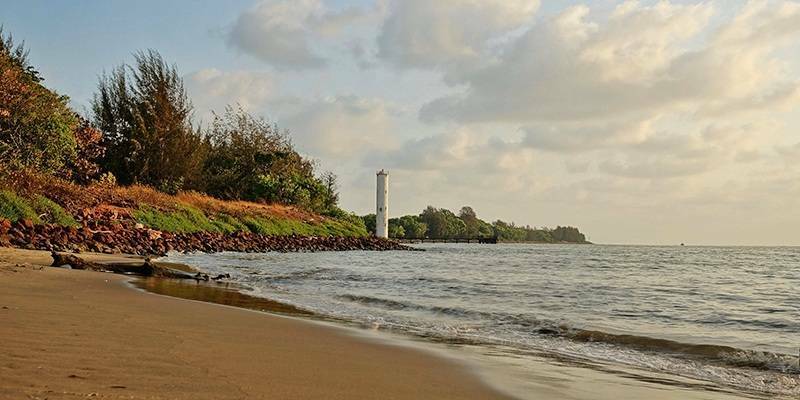 Morjim beach is your place if you are looking for some serenity and solitude on a nice clean beach. 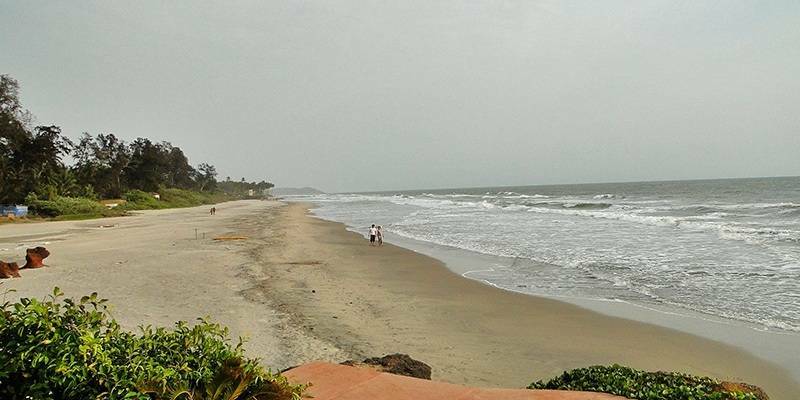 Unlike other busy beaches of Goa, Morjim beach is much quieter and less commercialized. Most of the tourists you would find here would be foreigners. 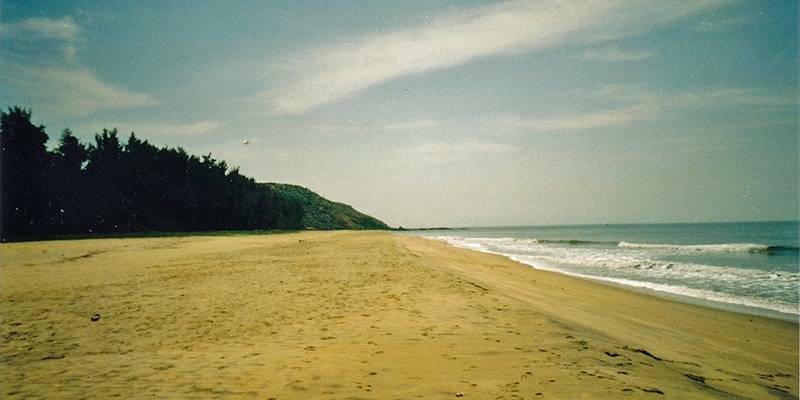 Morjim beach is a nesting ground for Olive Ridley turtles which visit during monsoon for breeding on this beach. During July 2015, an 11-foot-long Mugger crocodile was spotted on the beach. Many travellers to Goa have started exploring the coastline of Goa beyond the usual Calangute beach and Baga beach. Morjim has also become a hot destination for adventure enthusiasts. Adventure activities like Fly-boarding, Jetpack besides all water sports are operation near Morjim beach. Morjim beach is about 30 kilometers from Panaji. Mandrem beach is one of the finest beaches in Goa offering white sandy beach, clean waters to swim and bathe, few shacks and lots of calm. Just take a sunbed at one of the beach huts and this beach feels like your private beach. Mandrem beach is a long beach where you can walk or jog for miles, barefoot. Come evening and you would find many people indulging in meditation and yoga on the beach. Mandrem beach has started figuring as a great spot for nightlife and place for some well planned beach parties. Also this beach on Goa is ideal for swimming. Ideal place to go for a candle light romantic dinner with your partner. This could be one of the ideal beaches in Goa. It is not crowded for most part of the year, you have some amazing stay options on the beach, plenty of options to try Goan cuisine and seafood and long wide sandy beach perfect for a stroll or a jog in morning. Morzim beach is about 35 km from Panaji and 5 km from Morjim Beach. 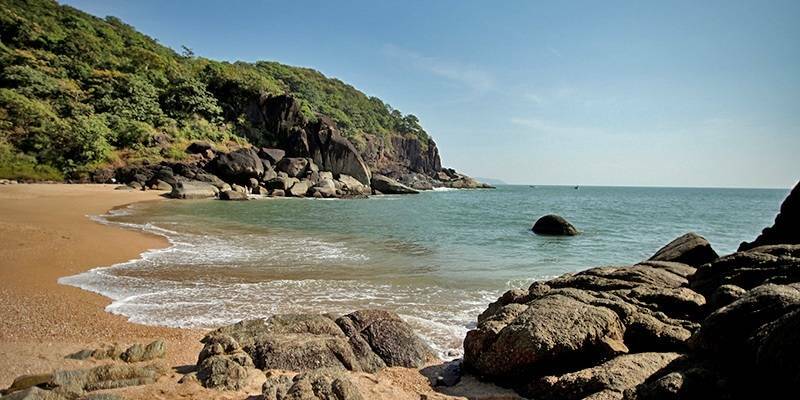 Butterfly beach is a secluded and little explored tiny semicircular beach cove at the northern end of Palolem beach. There is no easy access to the beach – you can either take a boat ride, or do 2 hour trek through the forest or if you are adventurous types – walk in 2-3 feet of water during low tide. You can do a bit of snorkeling here and spots some marine life. There are no shacks or any other infrastructure at Butterfly beach. Benaulim Beach is beautiful family friendly beach in south Goa located just 2 Kms from Colva beach. Waters here are calm and sandy beach very clean, perfect for kids to play in sand and waters. Few water sports activities are also available here and a lifeguard on duty is there. Benaulim Beach is about 35 KMs from Panaji and 10 Kms from Margao city. 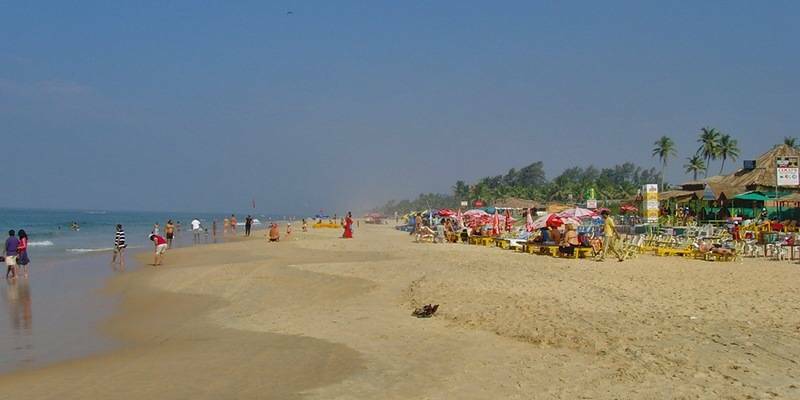 is one of the most popular beach of South Goa, and thereby relatively more crowded compared to other south Goa beaches. Colva beach is a good place if you are interested in water sports as it offers many options. Dolphin sighting tours are also available here but spotting dolphins is totally on luck. There are many shops and beach shacks here offering god variety of food and handicrafts to buy. Colva beach also has livelier nightlife compared to other south Goa beaches. If you have not seen South Goa yet, then you next Goa trip itinerary must have it. There are some excellent resorts right on the beaches. And beach huts are available to suit every budget. Besides many beach shacks, there are some good restaurant in the area as well. Thanks to many five star resort in the area, Colva beach has become on of the famous beaches in Goa. Colva Beach is about 33 km from Panaji and 10 km from Margao city. Being located in the middle of Panaji city and the only one, it is no surprise that Miramar beach is one of the most visited beaches of Goa. Located by the mouth of the Mandovi River meeting Arabian Sea, Miramar Beach is a good option if you are in Panaji city and not in mood to travel far. Miramar is one of the beaches in Goa where you can enjoy water sports. Unlike Baga beach it is not very crowded and you can enjoy water sports like parasailing, jet skiing and even surfing. Miramar beach is just 3 km from Panaji city center. Calm, secluded, less crowded and a long beach with clean white sand is how you would describe Majorda beach. The beach is near many upscale hotels and resorts of south Goa and is a must visit if you get bored of your hotel beach. It has few nice shacks during season and quite a safe beach to enter the water and lifeguards is present. Mae De Deus Church is a popular attraction on this beach. Goa Christmas Carnival is also organized here every year. Majorda beach is 4 KMs from Margao city and 5 Kms from the Colva Beach. One can take boat trips to nearby Butterfly Island or a Dolphin watch tour. Palolem beach became famous for its wild beach parties and was the main reason for rise in tourism in South Goa. These days silent parties or headphone party in Goa are organized here. Palolem beach is 70 KMs from Panaji, 38 KMs from Margao and 60 KMs from Goa International Airport. 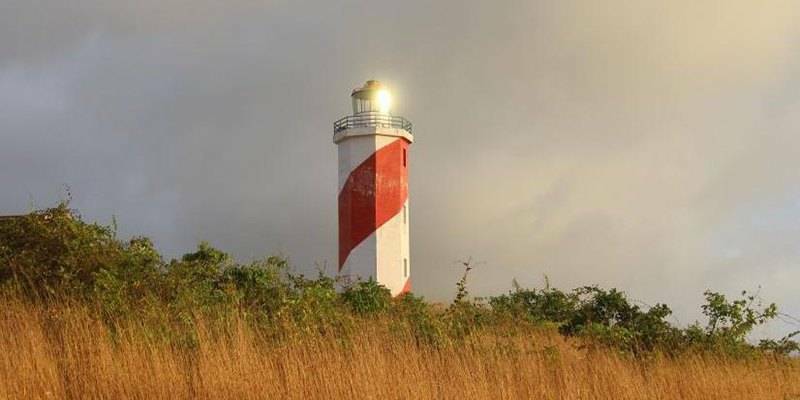 Though not a highly recommended beach, an interesting myth about the place and amazing views from the clifftop here makes Dona Paula beach part of this list. 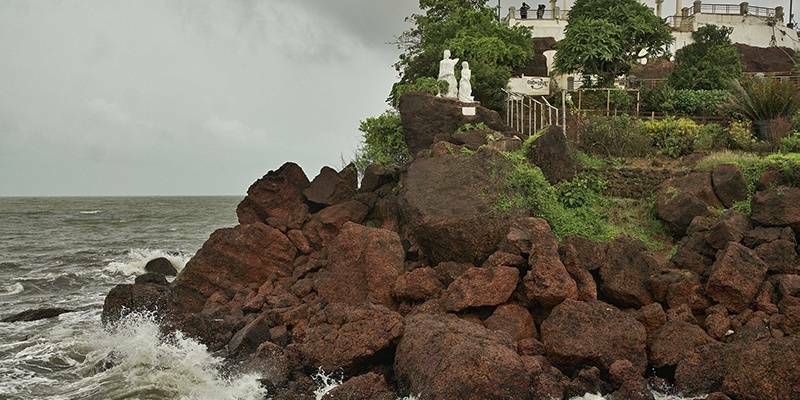 Most of the myths revolve around the infamous Dona Paula statue. The two most famous rivers of Goa, the Zuari and the Mandovi meet the Arabian Sea here. Dona Paula beach is just 7 KMs from Panaji. Arambol beach is the one of the northerly of Goa’s beaches in the North Goa and is a favorite among long stayers due to availably of budget accommodations here. Arambol beach is a long sandy beach, mostly void of tourists that throng the more popular beaches of Goa. To the north is smaller Querim beach and during low tide you can walk across to it. The headlands to the north of beach provide one of the best places to go paragliding in Goa. 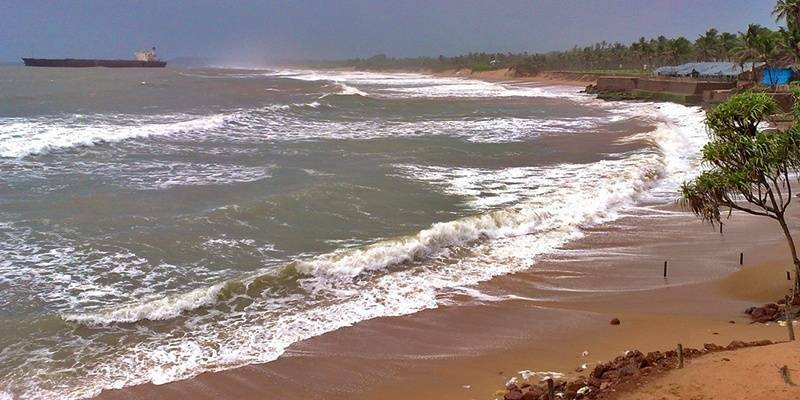 Arambol beach is 35 KMs from Panaji and 5 KMs from Morjim Beach. Another hidden gem of Goa, Betul beach is always devoid of crowd mainly due to its location. It is a top choice for honeymooners.It is located near the mouth of Sai River, draining into Arabian Sea. A small beach, it has clean white sand and no shacks or vendors making it a great spot for couples. To get here you should either enter from Hotel Leela or one of the shacks nearby. Betul beach is 50 KMs from Panaji. Querim Beach is a small peaceful and serene beach and perfect for someone looking to relax on the beach, sunbathe or read a book. One can rent a boat here to go on a little excursion to the Keri Caves or the Turtle Island. You can sit and relax under the cool of pine trees and stay in a 17th century fort turned into a hotel. 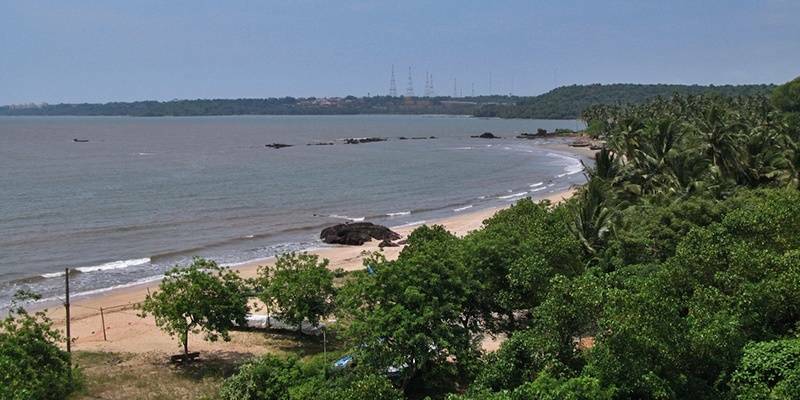 Querim Beach is 55 KMs from Panaji. 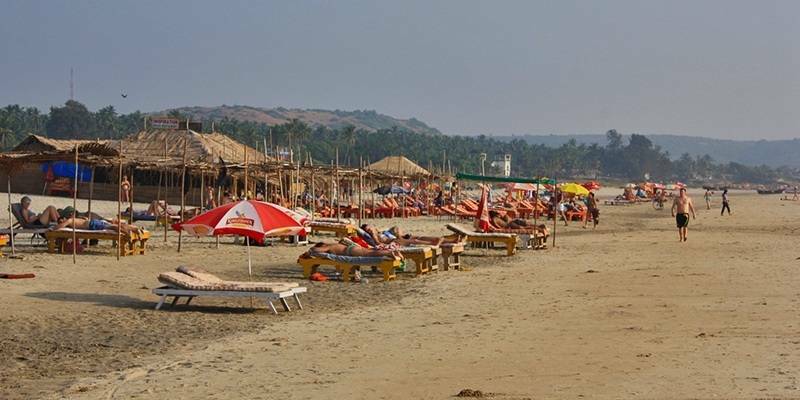 Amongst the most popular and crowded beaches of Calangute, Baga and Sinquerim, latter is the best beach in terms of cleanliness and peace.It is also one of the first tourist beaches of north Goa. Sinquerim beach in Candolim is on way to Fort Aguada and could be a good option to indulge in water sports if you are in North Goa. This is one of the beaches in Goa from where you can take dolphin watching tours. Candolim beach next to Sinquerim beach could actually be best beach in Goa for watersports. Sinquerim beach is 15 km from Panaji. Apt for a quite holiday, Cavelossim Beach is lovely long beach dotted with nice shacks and luxury resorts. Road along the beach offers many jewelry and souvenir shops.It’s probably the only beach to have black lava rocks and white sand.The beach offers nice views, clean white sand but the shack owners could be a little pushy and greedy here thanks to the long line of luxury hotels across on the street. Cavelossim Beach is 45 KMs from Panaji. Ashwem beach is 32 KMs from Panaji. One of the offbeat beaches of South Goa, almost in between Agonda and Palolem beaches – Galgibaga Beach is mostly deserted. Offering clean white sandy beach, no shacks or vendors, Galgibaga Beach is a good option to unwind in tranquility. The north part of this beach is dedicated to saving olive turtles since this beach is their favourite nesting spot. One of the few Goa beaches with golden sand. This is an amazing beach for nature lovers and people looking to avoid crowds. Galgibaga Beach is 85 KMs from Panaji and 50 Kms from Margao. An untouched beach, more popular among locals than tourists, Siridao Beach is known for its mysterious caves and rocky beach. There is Chapel on the beach that adds to the beauty of the location. There is a fishing village nearby. 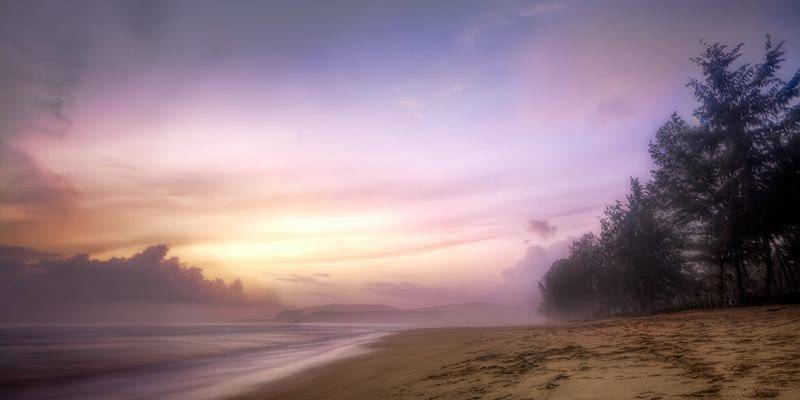 This beach is a livelihood for the local fishermen and photographers wont be able to stop clicking on this beautiful place. Siridao beach is located 8 KMs from Panaji. Although this nowhere close to an exhaustive list of information on beaches in Goa, we have tried to list top beaches worthy of your visit based on different travel aspirations. Parameters such as crowd, review, facilities, activities and cleanliness were considered in coming up with our list of recommended best beaches in Goa. Some other notable beaches that could have been part of this list are Patnem beach and Cola beach. Goa is one of India’s most tourist friendly destination. Although that statement may not remain true in distant future but locals as well as the government understand the importance of tourism to the state. Except few overly crowded beaches like Calungute and Baga, most beaches in Goa are relatively clean. Infact most of the popular beaches have lifeguards posted as well. Goa is one of the safest places for tourists, both Indians and foreigners. Although some incidents are reported often, relatively Goa is still a very safe place for travelers. Having said that travellers could avoid venturing on very isolated beach areas in late hours alone. Also stay away from touts as much as possible. 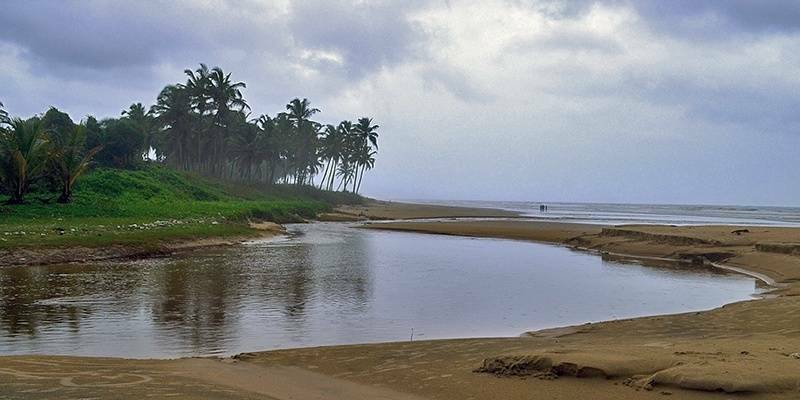 Are Goa beaches closed during monsoon? Goa monsoon season starts from late May and lasts till about mid September. During this time most beaches do still remain open but not in true sense. 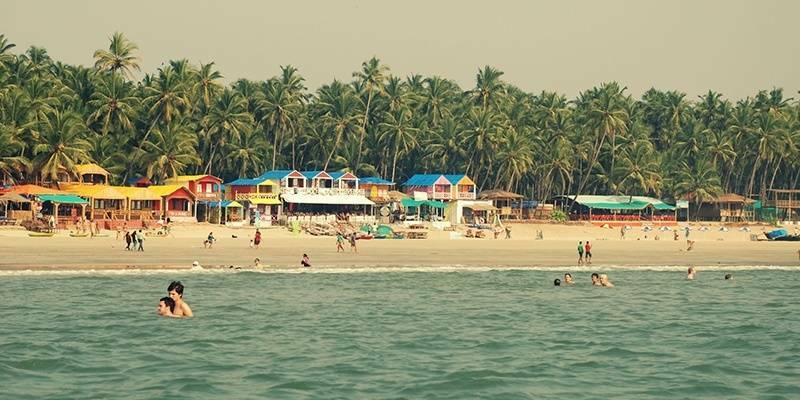 Most beach shacks are not operational and so is the case with water sports all over Goa. Recently water sports have started in rivers of Goa which remain open even in Monsoon season. During monsoons sea becomes very rough and swimming is also not allowed.